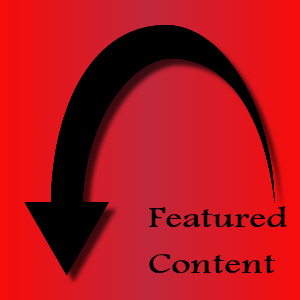 With the reformatting of the Blog Now website, I have created a section called “Featured Content.” If you will note below, there is a section on the left-hand side of the page with icons. These are long-running or special articles that I want to highlight for you. This includes my on-going Adventures in Landscaping, my little online novel called “Darkness,” and more. My hope is that you will examine these sections over time. Time for another installment of “Make Money Online.” Today, I want to introduce you to InLinks. Do you want to make “easy money?” Do you want to site down and write only about what interests you, rather than writing reviews on various websites that you have no interest in? You can do both at the same time with inLinks! When I say easy money, I mean you do not have to embed specific links into your articles. With some “link” sites, you are provided a key word or phrase that you have to sometimes force into your article since there is no grammatically correct way to blend it in with a sentence. InLinks resolves that for you without any special effort on your end. What InLinks does is it searches the text of all of your articles and matches them up with keywords their customers want to pay for. So, if you are writing an article about iPods or a special program that is giving away free Sony PSPs, and inLinks has a customer who wants to link their website to the keyword “iPods,” they will automatically create a special hyperlink for you. In exchange you will receive payment for that link for every month the customer wishes to pay for it. When their time is over, the keyword becomes available for their next customer to purchase. The same holds true on a topic you might have written 3 years ago. With reoccurring payments, and the possibility of having more than one advertiser purchasing links in the same article, you can quickly start earning some decent cash without any extra effort. In fact, inLinks accounted for 55% of my revenue last year. So give it a try for a few months and see how much you can earn. Click here and fill out their brief registration page to get started. After that, all you will need to do is add a simply code somewhere on your site (it could even be in the sidebar). InLinks will do the rest. Hey there folks. If you are scratching your heads and thinking “something doesn’t look right,” don’t worry. I decided to change the theme this month. Let me know if you like the new look. You are currently browsing the archives for the Administrative Notices category.